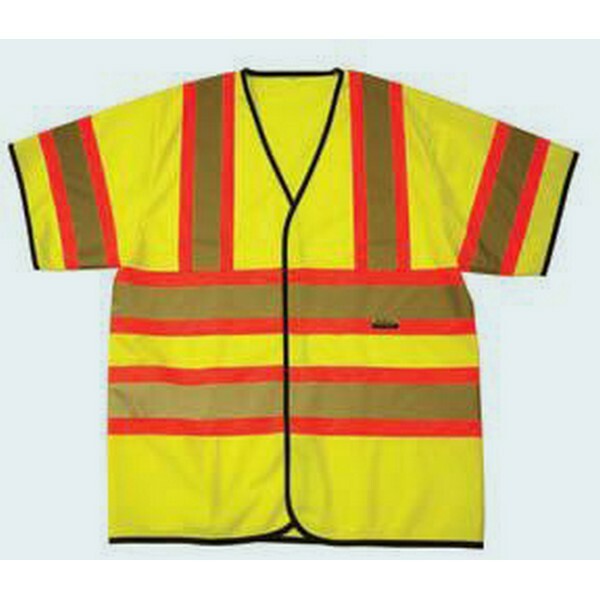 Short sleeve safety vest has a Class 3 Fire Resistance, is made out of 100% polyester, and has a Velcro Front Closure and that meets ANSI/SEA 107:2004. Also features an ID pocket on left chest. 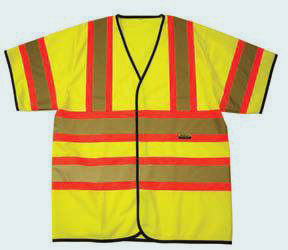 Also available in orange with yellow trim.